I don’t really like hard liquor. Margaritas are exceptions, but otherwise, I prefer red wine or beer. As much as I want to like gin and tonics or whiskey… I just don’t. I feel like I’ll get there (I enjoyed a Rusty Nail in college), but until then, I’ve been trying to transition to “adult” liquor by mixing it with fun things. 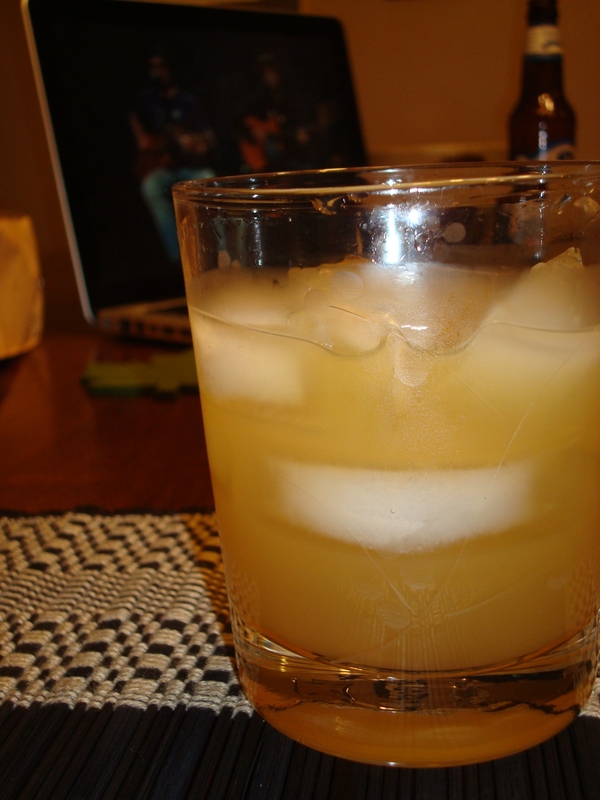 My favorite mix, hands down, is a sour mix… Amaretto Sours and Whiskey Sours. Recently, at a fun girls night out, I chose an Ipswitch Sour at The Patterson House, and it was awesome. (The other girls were quite jealous!) But Sours are hard to find at most restaurants, and we don’t really eat out that much. So, I thought I might try making it myself. Combine water and sugar in large saucepan. Stir over medium heat until sugar dissolves. Bring to boil. Store in refrigerator for up to 1 week. Makes 8 cups. Just in case you’re curious, yes, that is an old Flight of the Conchords clip in the background. Here’s a Schmate-appropriate song (we’re PG-13 around here).